Here it is: Our new 4 channel volume control circuit. With 5x5cm in size, this is a circuit that will fit even in very small cases. You can even control it from your Arduino or Raspberry Pi. Check our the project page for more information. 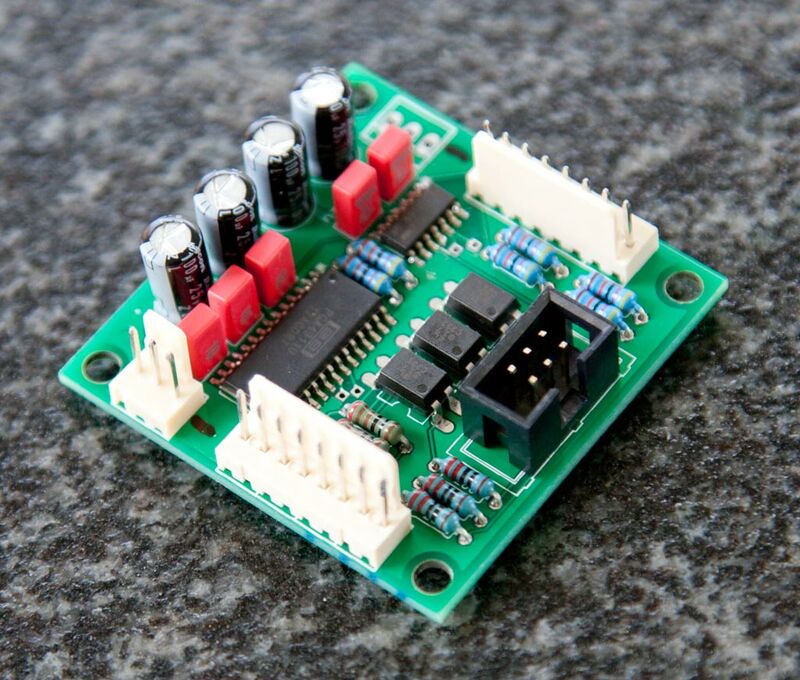 This entry was posted in Finished, Projects and tagged closeup, diy, electronics, pcb, preamp on May 9, 2013 by Daniel.